KITGUM – Police has said the life of Prof. Morris Ogenga Latigo, the Agago North County Member of Parliament is out of danger. The professor was involved in a motor accident in Kitgum district on Wednesday. Jimmy Patrick Okema, the Aswa River Region Police Spokesperson, said the accident occurred at around 3:30 pm on Wednesday in Adak village in Lumule along Kalongo- Kitgum Matidi road. Okema said Professor Ogenga is now safe although he could not be reached on his telephone. 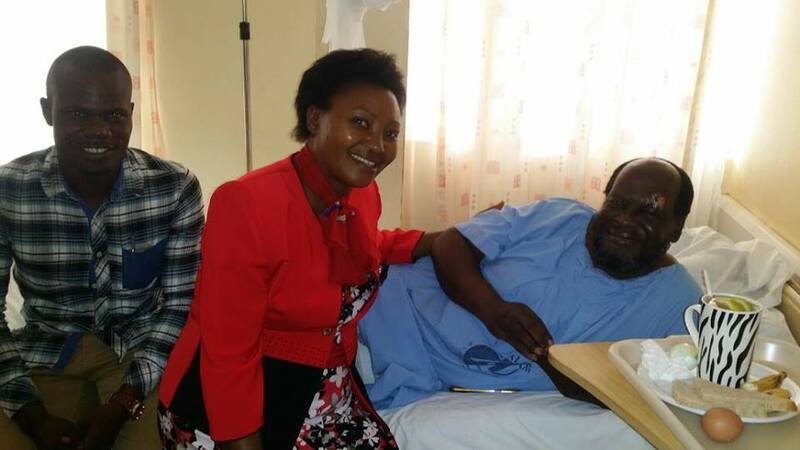 But Judith Franka Akello, the Agago district Woman Member of Parliament, confirmed that Prof. Latigo is fine. Okema said the legislator was being driven in his black Toyota Harrier registration number UBC 035A by his driver, Cipriano Humphrey Menya when the vehicle veered off the road overturned. According to Okema, although the exact cause of the accident is unknown they can’t rule out speeding. His wrecked car is packed at Kitgum Central Police Station. This is the fourth time Prof. Latigo is involved in a motor accident. On October 11, 2009, Prof. Latigo survived an accident in Bweyale trading center in Kiryandongo district when his Land cruiser vehicle registration number UG 0173H collided head-on with a bus belonging to Mewa Bus Company.